What Are the Potential Consequences of Getting Dental Work Done Abroad? The U.S. has a very high standard of care, strict sterilization protocols and good-quality materials and equipment. In addition, dentistry programs are rigorous, and dentists must meet many requirements to obtain (and maintain) their license to practice. Water quality – Water quality is important because it will be used to flush out areas of the mouth like an extraction site or the inside of a tooth after a cavity has been removed. It’s difficult to know what’s in the water in other countries – it may not be treated like it is in the U.S., which can lead to serious infections. Inferior materials – If you get a dental crown or dental implant in another country, the materials may not be as strong or durable as they need to be. This can lead to a broken crown or failing implant, which would then need to be redone. In extreme cases, material that’s toxic to the surrounding tissues has been used to fill a root canal, which destroys the tooth and eventually leads to an extraction. No recourse if something goes wrong – If you arrive home and have a problem with your dental work, it’s very difficult to have it addressed. And if something serious goes wrong, you have no legal recourse or grounds to hold a dentist in another country accountable. Unfortunately, the (understandable) effort to save money can actually wind up costing a lot more in the long-run to fix these issues! How Can You Find a Great Cosmetic Dentist In the States? 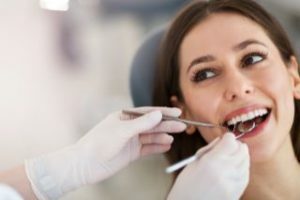 To find a high-quality general and cosmetic dentist in Parsippany, start by spending some time on a dentist’s website as well as looking at reviews. Make sure they offer a wide range of comprehensive services so that everyone in the family can get care at the same place. It’s also a good idea to look at a dentist’s “bio” page to see what kind of training and continuing education they’ve received. Finding a great local dentist that you’ll want to stay with for many years is well worth the time and effort. You can rest easy knowing that your dental procedures will be done right the first time and that your smile is in good hands! With 30 years of experience as a general, restorative and cosmetic dentist in Parsippany, Dr. Alan Rauchberg is dedicated to providing high-quality dental care to his community. He’s proud of the long-term relationships he’s built with his patients and looks forward to many more years of service. If you have any additional questions about dental tourism, he can be reached via his website or at (973) 334-3777.